Remarks: Spectacular Ranch about 1 hour NW of Austin. Abundance of water for recreation, livestock, and game. There is fishing from several ponds, including one around 2.5 acres. An intermittent creek meanders through the property and is an ideal lake site. One mile of Lampasas River frontage. The ranch is high fenced and has been and game managed. In addition to the deer there is great dove and turkey hunting. A variety of exotics can be purchased separately. In the river bottom is a multi-acre Indian campground, where arrowheads and artifacts have been found. 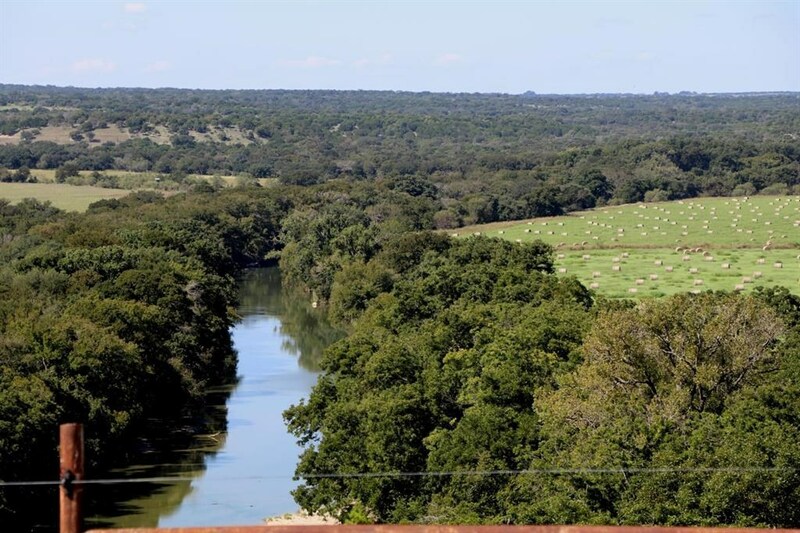 A 4 bedroom, 2.5 bath limestone house sits on a hill and overlooks the Lampasas River valley. The home has a climate controlled wine closet, study, and a 2 car garage. A second home is a neat log home that has 4 bedrooms and 3 baths. There is a large living area with a huge fireplace and covered porches front and back. Other improvements include a metal pole barn, bunkhouse, and working pens.